The below renderings of the Alexan Arapahoe Square and information were sent to the City of Denver Planning Board on November 10th. Alexan Arapahoe Square is planned to rise to 13 floors and will be located at 2200 Welton Street. The site is positioned along Welton Street, between 22nd Street and Park Avenue. The building will include 358 apartments and 392 parking spaces. The current plan for Alexan Arapahoe Square showcases ground-floor walk-up residences with their own private entrances. Space for retail is not included in this iteration of the project. Denver-based Kephart is the architecture firm that designed this project. Kephart stated they are not ready to comment on the timeline of when Alexan Arapahoe Square will break ground and begin construction. Alexan Arapahoe Square will join other projects under construction and planned along Denver’s Welton Street. The mixed-use project 2560 Welton is slated to include retail, office, and residential components. 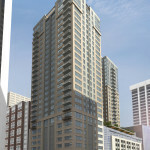 2560 Welton has yet to break ground. 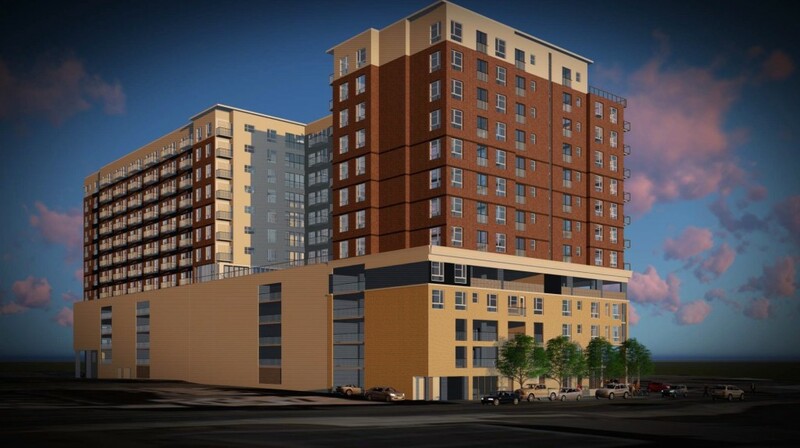 Currently under construction on the opposite side of Welton Street from the 2560 site is The Wheatley. Residential and retail space will be included in The Wheatley. Also under construction is 2300 Welton, a development that will house 223 residential units. 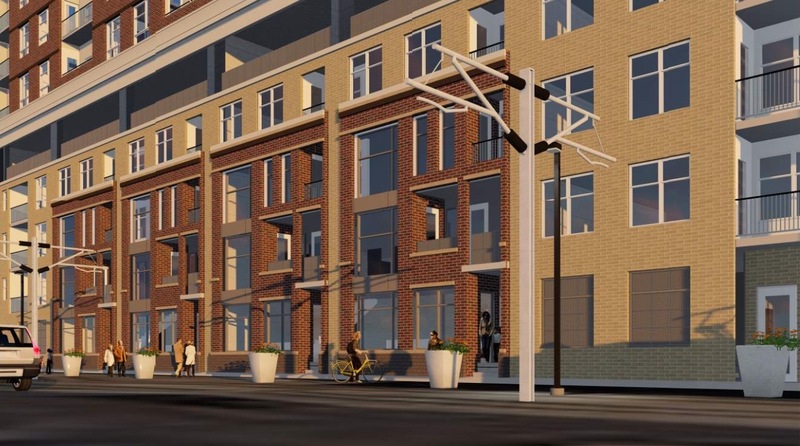 Rendering depicts RTD line on Welton Street and walk-up units. An RTD lightrail line runs along Welton Street with the nearest stops located at 20th and 25th. This lightrail line will eventually connect with the airport line at 38th and Blake Street that will provide service between Denver International Airport and Denver’s Union Station. The airport line will begin service on April 22, 2016. 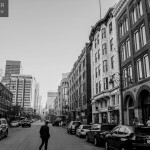 The Arapahoe Square neighborhood is home to the greatest concentration of undeveloped parking lots of any neighborhood located adjacent to downtown Denver. 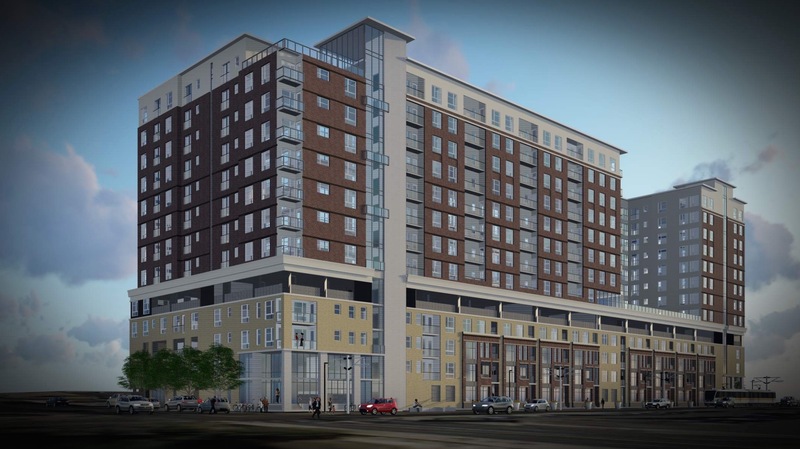 Another Alexan project is currently under construction at 20th and Logan Street in Denver’s Uptown neighborhood and will include 372 apartment units in a 12-story building. Glad to see something going into this corner, but another ocean liner? When are we going to ban these things. Just break it up after the 5th floor, so its two towers. Git rid of one of the connections between the inlets, Please!!! Or at least vary the height over the block. Really interesting design work here! Can’t wait to see how it looks once it’s finished. Thanks for sharing! Man, what a disgusting street presence… here residents and area visitors, enjoy our 5 story concrete wall. Id say ad a mural but eve an awesome mural would help this thing. I can only assume that you are referring to last image, which depicts the side that faces the alley. I can’t image that visitors or residents will be walking along the alley all that much. The side that faces the street (first image) is all brick with some glass at the corner, which provides a much better street presence.